Birmingham Repertory Theatre and the Curve in Leicester join forces for a new production of Oscar Wilde's play in which everyone is earnest about being Ernest. First, the audience learns that John Worthing has been masquerading as an imaginary brother Ernest. Then his best friend Algernon Moncrieff also takes on the guise of the unfortunate Ernest and, along the way, they both manage to fall in love with women who can only love men called Ernest. It all creates lots of humour around mixed identities, deceptions and delusions – with plenty of Oscar Wilde wordplay to carry along the story. Directed by Nikolai Foster and designed by Isla Shaw, the setting is the perfect foil for this game of smoke and mirrors as the stage is surrounded by large sheets of mirror. As characters come and go through its many revolving doors, the set serves to emphasise the confusion of the story. 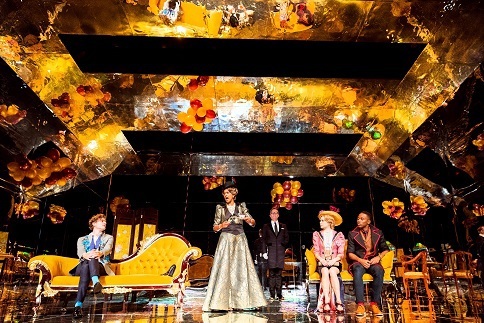 Fela Lufadeju is a likeable John whose love for Gwendolen looks to be thwarted by her hideous but highly amusing aunt Lady Bracknell, played with gusto by Cathy Tyson. Edward Moncrieff is charming as Algernon – largely because he so openly admits to all his faults before his friends can even point them out to him. Martha Mackintosh is decidedly prim as Gwendolen and Sharan Phull plays a wide-eyed Cecily – the fiancees of the two 'Ernests'. And Darren Bennett provides an additional touch of humour as the prim butlers Lane and Merriman. 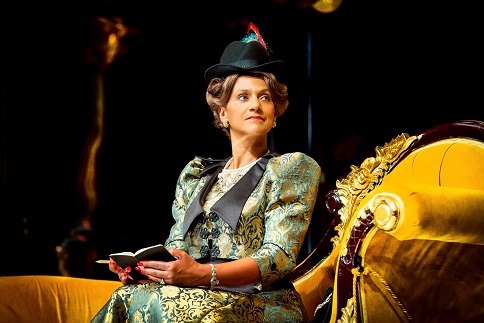 At The Rep until September 24 and then at the Curve between October 6-29, The Importance of Being Earnest is a light-hearted romp which proves very much that it's sometimes better to avoid such earnestness.